A Scottish basket hilted sword of early form mounted with a broad and robust double edged “ANDREA FERARA” blade. 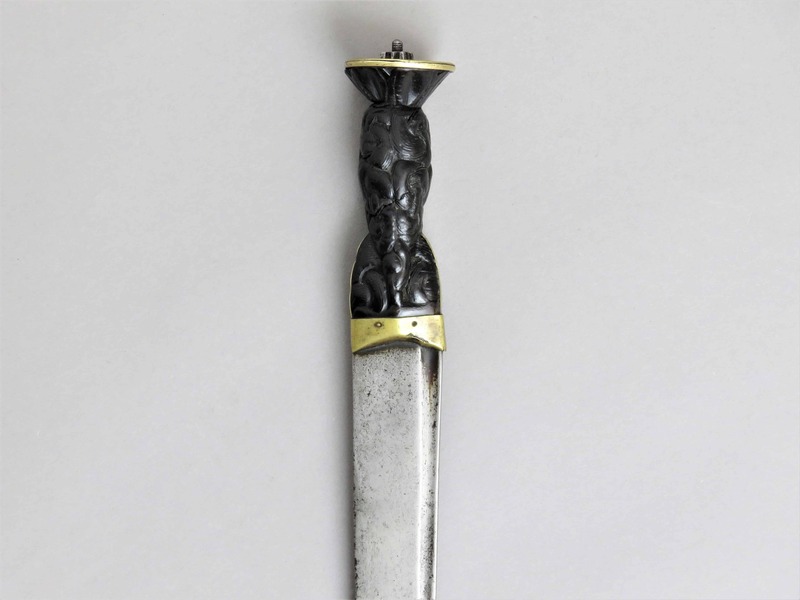 From circa 1600 onwards English sources refer to this hilt type as “Irische”. 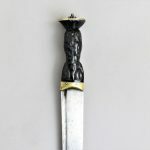 From the English perspective the term “Irische” (Irish) means “Scottish”, and English armourers copied this type of hilt from Scottish styles which evolved further, with differences, across both regions from the late 16th century into the Civil War period, until the fully formed basket hilted sword started to appear. 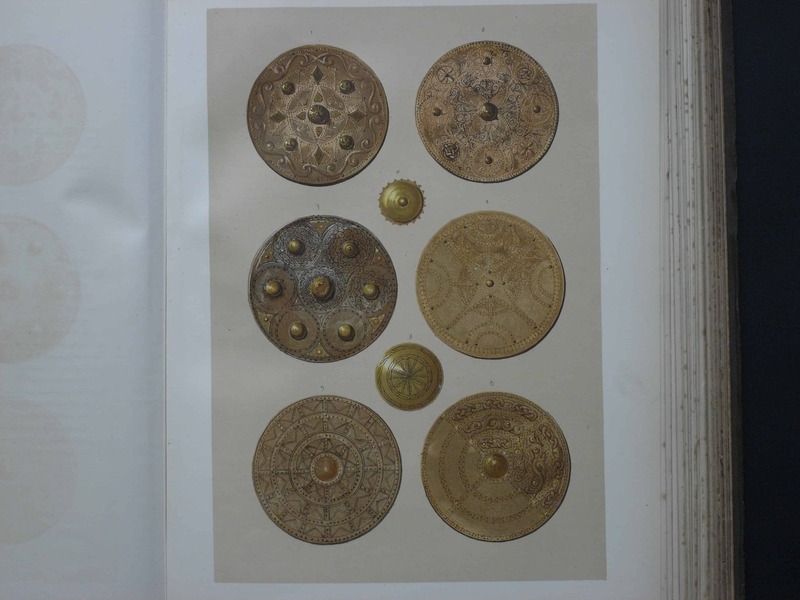 This example, has its frontal guard plates engraved with diamond patterns with crosses inside, formed from parallel pairs of lines, together with notches cut into each side of the plates. The dome shaped pommel has a chiselled circumference which secures the main guard arm terminals. The hilt possesses a rear quillon and a slight groove underneath the quillon block helps secure the ricasso shoulders of the blade. These features indicate that this is a Scottish representation of the sword type. The robust double edged blade shows much evidence of use and sharpening either side during its working life and it retains a keen edge. The blade is of high quality, of gently tapering form and of flattened lenticular section. A pronounced ricasso is present extending for some 3 inches (7.5 cm) from the hilt. 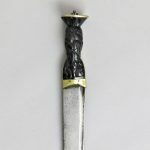 Two fullers extend for 10 inches (25.5 cm) down the centre of the blade from the ricasso, each boldly punched with the words “ANDREA FERARA” either side. 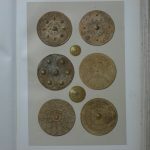 The fullers are flanked by incised single lines which converge just beyond the termination of the fullers either side in a pattern of dots and crescents. 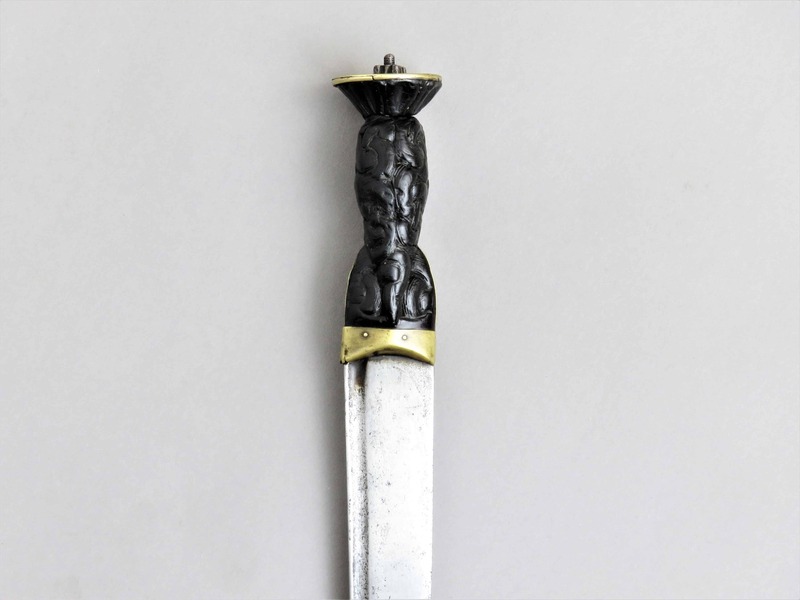 The upper half of the pommel is dome shaped and fashioned without a pommel button. The spirally grooved wooden grip has lost its cover and wire binding. 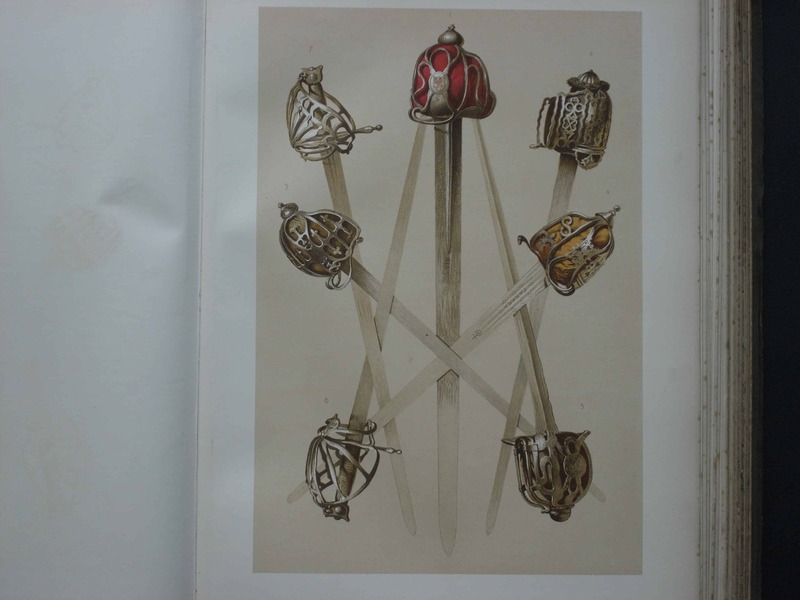 For further examples of the “Irische” hilt sword type see “British Military swords 1600 to 1660”, Stuart C Mowbray, Mowbray Publishers, 2013, pages 110 to 126. 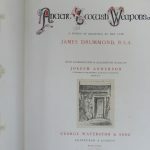 The sword is almost identical in form to the hilt illustrated on page 114 & 115, and very possibly from the same workshop. 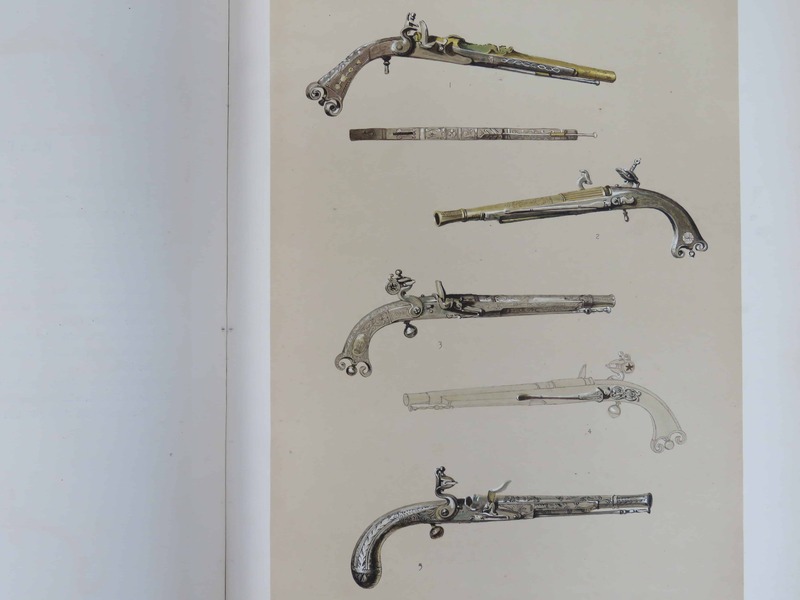 This is in the Mazansky Sword Collection at Brown University in the USA. 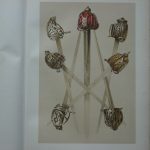 The hilt also closely resembles the baskets of a number of swords illustrated in “British Basket-Hilted Swords” by Cyril Mazansky (Boydell Press 2005), and in particular references D9, D10, D10a, D10b and D10c pages 80 to 82 which show near identical sword hilts with similar linear engraved line patterns to the frontal guard panels and side guards. 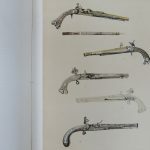 These swords are housed in various important collections including Blair Castle in Perthshire, the Marischall Museum in Aberdeen and The Royal Armouries. 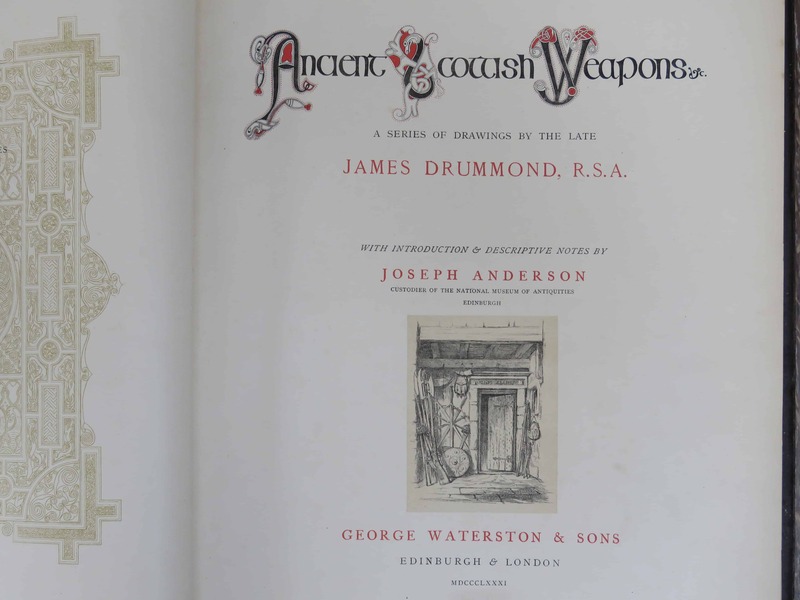 Two further similar swords housed in the National Museums of Scotland, are illustrated in John Wallace, Scottish Swords & Dirks, 1970, Stackpole Books, figs 23 and 24. Overall length 37 inches (94 cm), blade length 32 inches (81 cm).